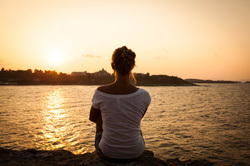 If you've experienced the loss of someone special to you such as a friend, family member or coworker you are probably experiencing some very difficult thoughts and emotions. My deepest sympathies at this most difficult time. Grief can be a very isolating, terrifying and painful experience. Whether the death of your loved one was sudden or the result of a brief or longterm illness- it is an extremely difficult time. Depending on the cause of death, you may be left with differing levels of emotional intensity as well as difficulties with everyday aspects of life. It is important that you find at least one caring person you can talk to throughout the grief process. 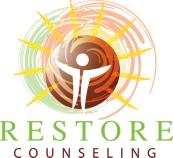 Restore Counseling offers individual and group counseling for grief and loss in Columbus, Ohio. Yes, grieving the loss of a pet for many people feels no different, and actually sometimes much worse, than a human loss. The bond we create with our pets is uniquely special and very different than human bonds. The emotional safety, unconditional love and commitment, and their grounding presence are some of the many factors contributing to the bond. Unfortunately, many grieve in silence or hide their grief as well meaning loved ones and friends minimize or dismiss the significance of the loss. Restore Counseling offers individual and group counseling for pet loss in Columbus, Ohio. Call / Text 614-354-6962 of for more information. GROUPS ARE OFFERED ON DEMAND. Pre registration required and pre payment required prior to 1st session. This is a fee based professional therapy group. the lucky ones of us find that they have 4 paws.